The Speed track is the only track in the northwest of the national territory that is capable of holding International, National or Regional races, as well as testing at the highest level from both cars and motorcycles. The track varies to offer different feelings during the lap thanks to the combination of fast, slow and technical areas. 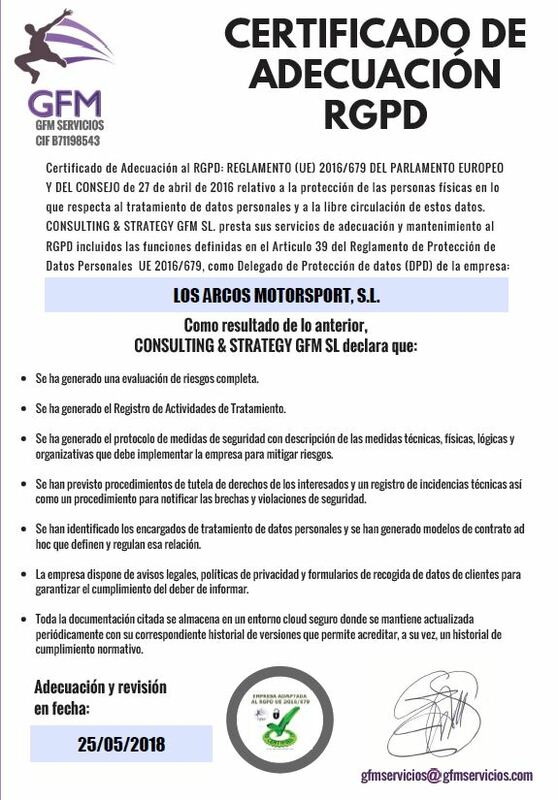 Apart from holding official sport competitions, testing and racing days, the Navarra Circuit track has been design to offer the possibility to be turned into two variants, thanks to the division of its track into a 2.7 and a 1.3km track respectively. It is a multifunctional road racing circuit. Track width: de 15 m. a 12 m.
Is the main working building at the Navarra Circuit. Thanks to its quality and technical capacity, the PIT BOX BUILDING allows the professionals working there to develop their activities correctly, thanks to the interconnection of its different rooms and spaces. The Pit Box Building has a first floor with 17 hospitality rooms from where the activities on the speed track, the Karting track and the paddock area can be perfectly seen. Its privileged situation, just over the pit boxes, makes the spectators feel the racing thrill as if they were inside the races. In the last floor, spectators can enjoy the luxury of the Boxes Terrace, where they can follow the races enjoying amazing views at the same time. All the areas have direct access to the Paddock Bar, a meeting space where fans and professionals can have a break or follow the races live. 32 boxes of 105 m2 (7 x 15 m) equipped with electricity, water and Wi-Fi connection. 8 sporting offices and 2 meeting rooms. Paddock Bar with terrace over the Pit lane. 17 Hospitalities of 63 m2/u. with 22 m2 terrace over the Pit lane. It is the flagship building of the sports complex, placed at the level of the start/finish arch of the Speed track. On the ground floor and first floor, the professional team of the Navarra Circuit works (offices and control room). The second and third floors are equipped as VIP rooms, with 300 m2, ideal for corporate events. Its spectacular view of most of the facilities placed them as the most exclusive spaces of the Navarra Circuit. Race Control with Closed Circuit TV (CCTV) and Timing. Speaker, dj and megaphony room. 2 VIP rooms with 300 m2 for events and sponsors.